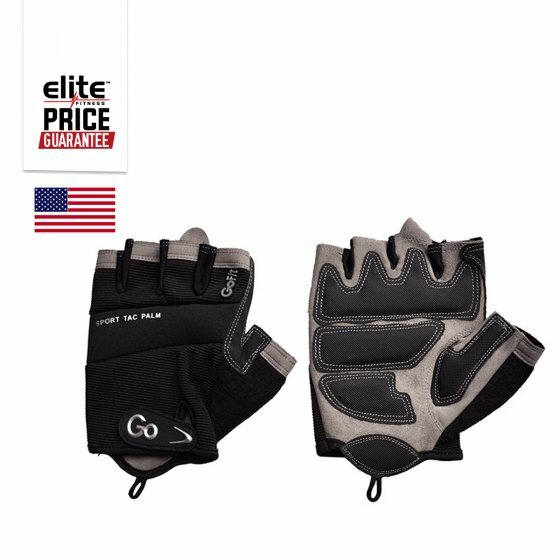 Train comfortably with the GoFit ProTrainer Glove. The high-performance glove is designed with double padded pressure points, Sport-Tac™ superior gripping and reinforced fingers. The Go-Fit Trainer Gloves are made from durable material to support rigorous training, as well as providing essential flexibility and comfort. Designed for men. Four- way stretch back for superior comfort. Pull tab finger for easy removal. Sport-Tac™ reinforced thumb and forefinger for more gripping power.